If your idea of a boilermaker conjures up images of industrial metalworks, fiery furnaces and sweaty workers, now might be the time for a rethink. When stood at a bar, a boilermaker is better known as the simplest of beer cocktails. It has few of the complications of mixology; a typical boilermaker involves throwing down a shot of whiskey then immediately following it with a beer. Alternatively, for a bit more theatre, you could take a depth charge approach by dropping the whiskey into the beer and downing both. Neither option comes across as a particularly sophisticated exercise in pairing, but rather a rough and ready knock-off reward suited to the trade from which it gets its name. But, just as the generic boilermaker term seems to have faded from the profession and given way to more specialised forms of craftsmanship like welding or fabrication, such are these times of refinement that there’s a lot more to the boilermaker beverage than many may know. For much of this we can thank the resurgence of those small breweries and distilleries who are differentiating themselves from bigger brands by focusing on creating more interesting options for the drinker. Whether beer or spirit, these are generally characterised by more pronounced flavours and, often, the favoured use of local ingredients. 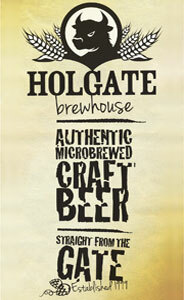 And, when it comes to brewers and distillers, a dependence on grain as a base ingredient – along with a fondness for other fun ingredients – means there’s a natural synergy at play here and some producers are already melding the two worlds together; the Young Henrys brewery in Newtown, for example, has its own distillery producing the hop-infused Noble Cut gin. 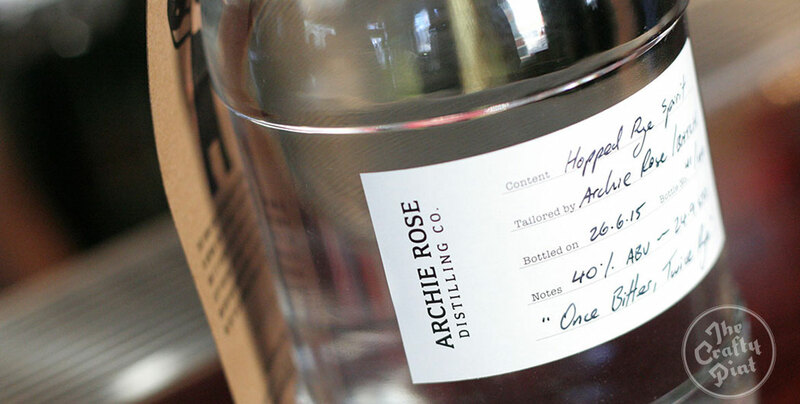 Just down the road, in Marrickville, the Batch Brewing Company recently went one step further by getting together with Rosebery’s recently opened Archie Rose Distillery to create their own boilermaker. Not only was a beer brewed to accompany a spirit, but a spirit was then produced from the beer itself. The idea for what’s become the First Wash Rye IPA and ensuing Hopped Rye Spirit came about, says Batch co-founder Andrew Fineran, before the distillery was even up and running. “It’s something that we had spoken with Will [Edwards] about while he was still setting up Archie Rose," he says. "Chris [Batch head brewer and co-founder] and I have always been interested in the concept of matching a beer to a spirit so we floated the idea of a collaboration, not really knowing exactly what it was going to be: a beer brewed to match a whiskey? A gin with hops? The concept was relatively straightforward in that Batch brewed a double batch of the beer, kept half and sent the other half over to Rosebery. The hard part was prior to that: developing the recipe and understanding which characters from the beer would be pulled through into the spirit. There was a lot of back and forth, understanding of processes and consideration of the base beer before they could decide on a way forward. Says Andrew: “We liked the idea of using rye because it has a nice flavour to it and also is related to how some whiskeys are produced, although this wouldn’t be a rye whiskey as you’d need over 50 percent rye malt. We are going to experiment with doing a beer that’s over 50 percent rye though, which will be a very tough beer to make. With this being an experiment for both businesses, despite the planning and best guesses there was always going to be an element of doubt as to how the end result would taste and whether using beer as a base would actually make a marked difference. But Andrew has no doubt that the beer’s character comes through. In classic boilermaker style, the spirit and beer are meant to be consumed side by side. 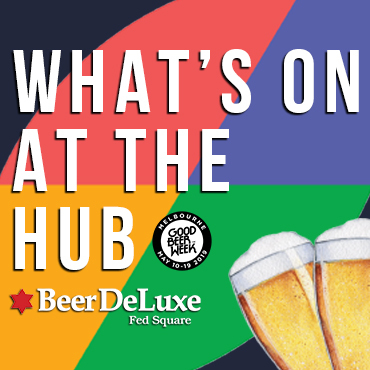 If you want to try it, a limited number of bottles and kegs were delivered to a handful of Sydney venues over the weekend (venues to try include the Royal Albert Hotel, Empire Hotel, The Welcome Hotel, Local Taphouse Darlinghurst and Keg & Brew). 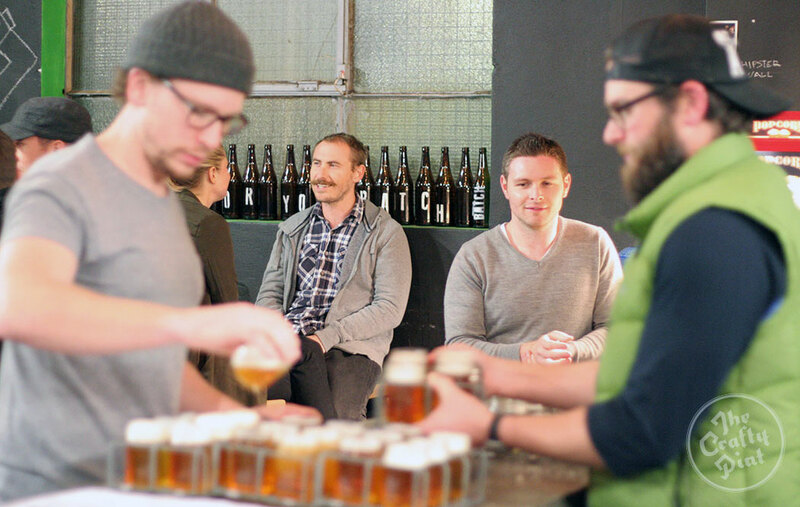 Fuelled by the collaborative spirit, Batch has teamed up with another small Sydney producer on a forthcoming beer too. Fellow American expat DJ McCready, brewer at Modus Operandi, joined the Marrickville brewers to create a lactose IPA semi-inspired by Moon Dog’s Splice of Heaven, which they’d tried during Good Beer Week. With a working title of ‘Hopsy Daisy’ it will be released to venues soon and, to do justice to the beer’s full creamy sweetness, will only be served on nitro.